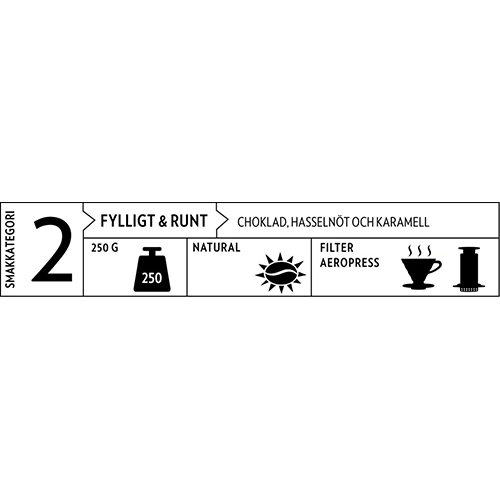 johan & nyström Brazil Fortaleza coffee beans is an exceptionally balanced coffee with clear hints of chocolate, hazelnut and caramel. The Croce family owns and has run the Fazenda Ambiental Fortaleza for more than a hundred years, and consequently over several generational shifts. When Marcos Croce took over the operation, about ten years ago, he decided to turn the farm into an ethical farm with clear environmental focus. He also created a network of coffee-farming neighbors and friends who shared his vision and belief in real coffee quality. Through this network can small-scale coffee growers in the region Mococa market and export outstanding coffee to roasters devotees. 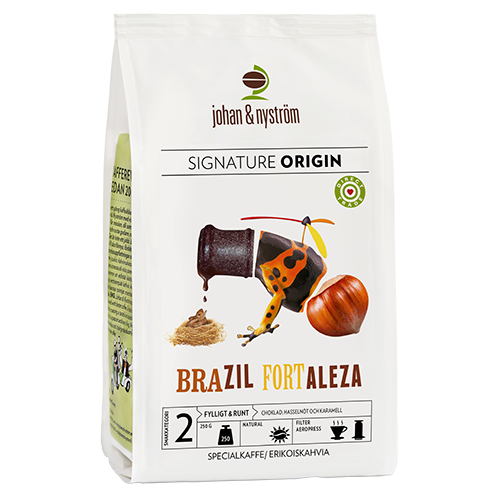 The coffee in Brazil Fortaleza is the result of Marcos and his closest neighbors collective effort. The plantation spreads out between 900 - 1400 meters above sea level and they farm the coffee types Bourbon, Mundo Novo and Catuai.